A comparative study of hydrogen evolution in devices based on cadmium chalcogenides quantum dots (CdS, CdSe and CdTe) and its combinations, sensitizing TiO2 was carried out. A maximum photocurrent of 2.7 mA cm−2 at 0 V bias, and a solar-to-hydrogen (STH) conversion efficiency of 0.9%, was obtained with CdSe QDs due to its wide absorption range. The co-sensitized device with CdS–CdSe QDs showed a higher photocurrent of 3.9 mA cm−2 with an STH of 1.2%. 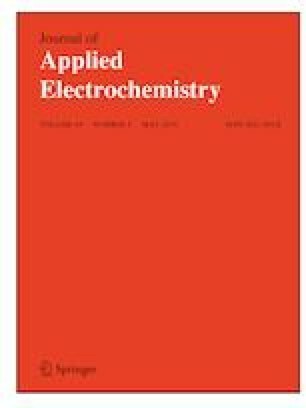 The improvement in hydrogen generation for electrodes sensitized with CdS in combination with CdSe or CdTe QDs, was attributed to the increased light absorption and appropriate band alignment for the enhanced charge transport. We acknowledge financial support to CONACYT through Grant 259192 and CEMIE-Solar (207450) consortium projects P27 and P28. A. Cerdán-Pasarán acknowledges to CONACYT for the Doctoral fellowship. We thank to Christian Albor for technical support.